Below you fill find all funeral homes and cemeteries in or near Spruce Pine. 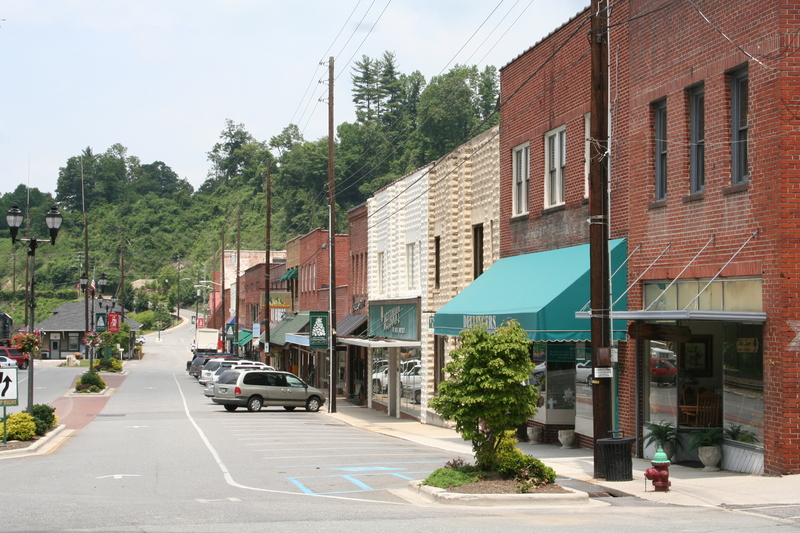 Spruce Pine is also known as: Mitchell County / Spruce Pine town. Their current mayor is Mayor Phillip Hise. Zip codes in the city: 28777. Mitchell County funeral flowers can be purchased from one of the local funeral shops we partner with. Sossoman Funeral Home, begun 61 years ago as a small enterprise to provide helpful services for families in grief, remains today a family operation still committed to a high standard of professional, compassionate care. Some of the notable people born here have been: Craig Dobbin (film score composer). It was disclosed by Charlotte Observer on December 19th, 2018 that Judy Virnelson (Patton) died in Spruce Pine, North Carolina. Ms. Virnelson was 79 years old. Send flowers to express your sympathy and honor Judy's life. It was revealed by Klamath Falls Herald and News on June 17th, 2018 that Earnest Johnson perished in Keno, Oregon. Johnson was 70 years old and was born in Spruce Pine, NC. Send flowers to share your condolences and honor Earnest's life. It was reported on October 25th, 2017 that Juna Faye "June" Henderson (Swindle) died in Spruce Pine, North Carolina. Ms. Henderson was 80 years old and was born in Dover, FL. Send flowers to express your sorrow and honor Juna Faye "June"'s life. It was noted by Statesville Landmark on September 15th, 2017 that Candis Ann Brown (Hager) passed on in Spruce Pine, North Carolina. Ms. Brown was 58 years old. Send flowers to express your sympathy and honor Candis Ann's life. It was noted by The Star on August 18th, 2017 that Robert Lawrence Jr "Bobby" Allen died in Spruce Pine, North Carolina. Allen was 54 years old and was born in Little Rock, AR. Send flowers to share your condolences and honor Robert Lawrence Jr "Bobby"'s life. It was reported on May 26th, 2016 that Mary Hirste Lammey (Carson) died in Spruce Pine, North Carolina. Ms. Lammey was 83 years old. Send flowers to express your sympathy and honor Mary Hirste's life. It was noted on October 11th, 2015 that Wanda Duke (Willis) passed on in Spruce Pine, North Carolina. Ms. Duke was 78 years old. Send flowers to share your condolences and honor Wanda's life. It was disclosed by The McDowell News on April 29th, 2014 that Irene Penland (Higgins) perished in Spruce Pine, North Carolina. Ms. Penland was 97 years old. Send flowers to express your sympathy and honor Irene's life. It was noted by Morganton Herald on December 6th, 2013 that Mack Sr Chapman passed away in Spruce Pine, North Carolina. Chapman was 86 years old. Send flowers to express your sympathy and honor Mack Sr's life. It was revealed by The McDowell News on April 19th, 2013 that Jerushia Branch (Hollifield) perished in Spruce Pine, North Carolina. Ms. Branch was 95 years old. Send flowers to express your sympathy and honor Jerushia's life. Tourism has become a major economic force in the region, and the town's proximity to the Blue Ridge Parkway, combined with its location near the edge of the Blue Ridge Escarpment has helped make Spruce Pine a travel destination for many. The population was 2,030 at the 2000 census. Spruce Pine was founded in 1907 when the Clinchfield Railroad made its way down the North Toe River from Erwin, Tennessee. On August 4, 2007, the downtown area of Spruce Pine was threatened when an arsonist set fire to several buildings downtown. The town was originally centered around a tavern operated by Isaac English, located on an old roadway that ran from Cranberry, North Carolina down to Marion, NC. The fires, which brought firemen from 4 counties around Spruce Pine, severely damaged the building housing Cheapskates Music on Lower Street, and caused some tense moments when it seemed that the fires might spread out of control and consume the downtown area. The official website for the city of Spruce Pine is http://www.sprucepine-nc.gov/. Jacqueline Blevins - SPRUCE PINE, N.C.
Condolences may be e-mailed by going to our website, www.webbfh.com, selecting obituaries, and clicking on the name you wish to view and sign the guestbook. Webb Funeral Home in Spruce Pine, NC, is assisting the Blevins family. Here are the results for funeral homes in Spruce Pine North Carolina. You can find some of the best funeral homes businesses serving Spruce Pine. Spruce Pine Funeral planning made easy! Learn how to pre-plan your funeral in Spruce Pine, North Carolina, including step-by-step directions. Pitman, Chris - Webb Funeral Home, Spruce Pine, NC : Reviews and maps - Yahoo! Local, 828.765.4277. Get Ratings, Reviews, Photos and more on Yahoo! Local. We work with local florists and flower shops to offer same day delivery. You will find budget sympathy flowers in Spruce Pine here. Our funeral flowers are cheap in price but not in value.